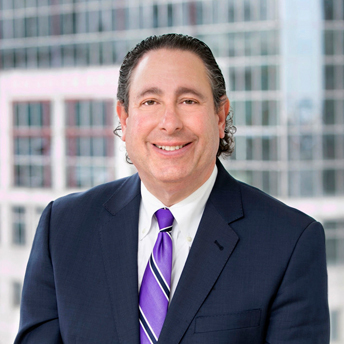 Bill Friedler is a Shareholder in the firm's Trusts & Estates Group. Bill has concentrated his practice in the areas of complex estate planning, probate and trust administration, planning for adults or children with special needs and disabilities, elder law and Medicaid planning. Bill represents his clients for their corporate estate planning needs and is knowledgeable about business succession planning. Prior to RIW, Bill founded and served for 25 years as the Managing Partner of The Friedler Law Group, a boutique law firm specializing in Trusts & Estates. Most recently Bill served as Partner and Chair of the Trusts & Estates group at Conn Kavanaugh Rosenthal Peisch & Ford in Boston. Bill has been a frequent speaker on both radio and television and has been quoted in a variety of publications over the years on topics in Estate Planning, Probate Administration, and Elder Law. Donated time to help local veterans understand estate planning issues. Bill has been chosen by New England Super Lawyers every year since 2009 to be designated as a Massachusetts "Super Lawyer" in his field as an Estate Planner. In 2019 he was also chosen by New England Super Lawyers to be designated as a Massachusetts "Super Lawyer" in the field of Elder Law. He has also been selected to be included in the 2015 through 2019 publication of "Best Lawyers In America" in the field of Elder Law.